Home » The Jolie-Pitts Take Venice! 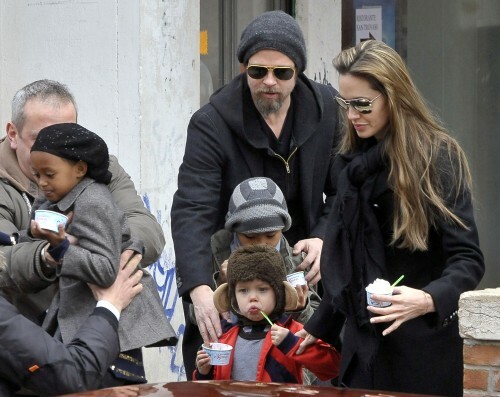 Brad Pitt and Angelina Jolie caused a stir in Venice yesterday when they were spotted treating their clan to some ice cream. The superstar couple arrived by private plane on Monday afternoon, with the family taking two speedboats – one for their huge amount of luggage and another for the children – to their new home, a stunning canal-side Palazzo. The family will be in Italy for 3 months while Angelina films her new movie The Tourist.